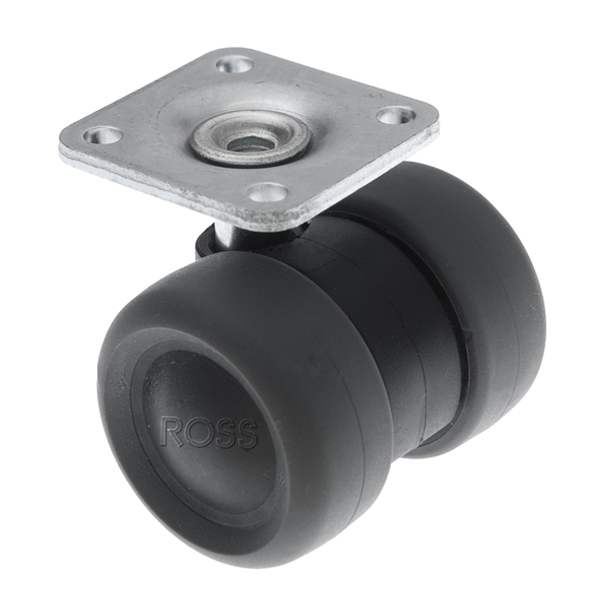 Small, discrete but durable, is the best way to describe our low level castors. With a square top plate for easy attachment, you will find a use for these castors on all types of furniture and equipment! These small discrete low level twin wheel castors with brakes are ideal for a range of furniture and equipment. With a top plate for easy attachment, these are budget beating small castors for everyday use! Our low level twin wheel casters are the most discrete low level casters we offer. With the wheel diameter 40mm, the low level threaded stems are available as either M8 or M10 making the maximum overall height of only 44mm. Ideal as furniture casters, discrete equipment or point of sale castors. These low level furniture casters can come either with or without brakes. For more information click on the product codes below.